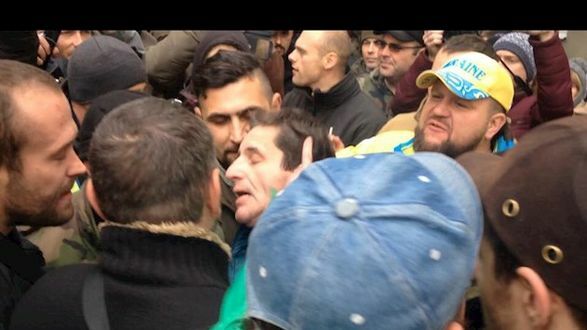 A group of unidentified persons assaulted Zoryan Shkiryak in Kyiv; the Interior Minister’s Counselor was beaten up as the attackers cried out ‘We finally got you’. The official appeared near the building of the Superior Special Court of Kyiv, where the jury continues to consider the case of Serhiy Kolmohorov, the serviceman of Ukraine’s State Border Guard; the man might face 13 years in prison for ‘intentional murder and power abuse’. 112 International follows the updates.